Tired of shelling out cash for someone else to process your deer? Want the most rugged, reliable meat grinder on the market? Then the Weston® #22 Deluxe Heavy-duty Manual Tinned Meat Grinder is for you! It's the perfect way to create your own ground meats and sausages, spiced and flavored to your own taste. This top-quality Manual Grinder is built to last for years using durable cast-iron construction with a food-safe hot-tinned coating. You'll be cranking for seasons to come! 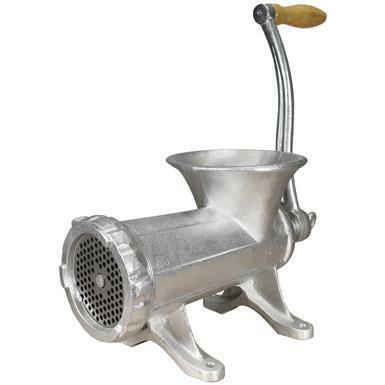 Includes 1 knife, 2 grinding plates measuring 3/16 " and 1/2"
Get this Weston® Manual Meat Grinder today!